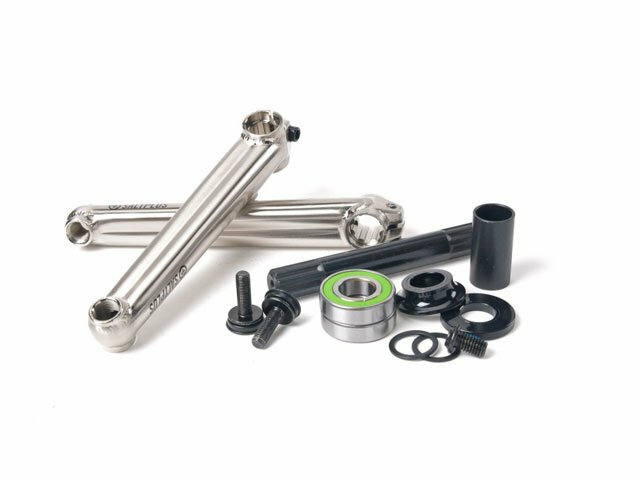 The SaltPlus "Groove" BMX Crank includes a sealed Midsize BB bottom bracket. 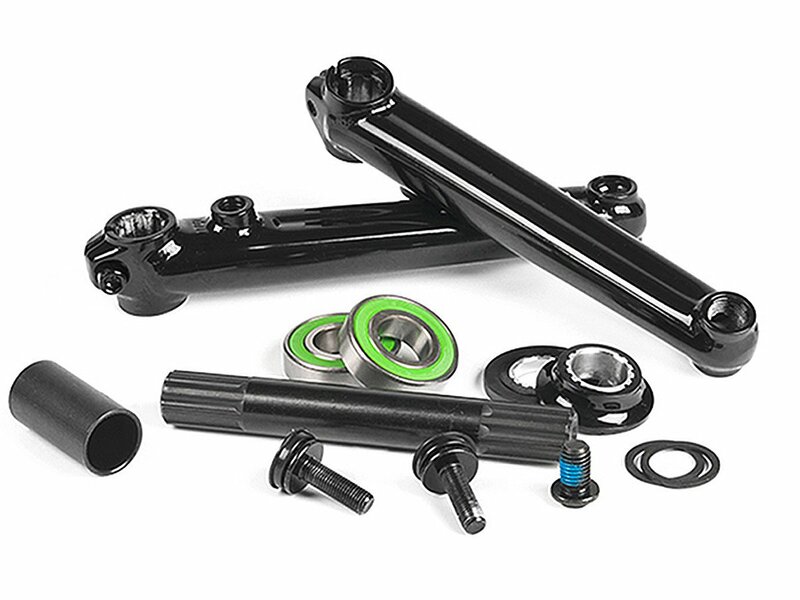 One difference at the SaltPlus "Groove" BMX Crank in comparison to all other SaltPlus cranks you can see at the axle. This one has only 8 splines, which makes it pretty easy to assemble it to the crankarms.